Is it Okay to Scruff My Cat? The loose skin at the back of a cat’s neck is referred to as the “scruff.” You have probably seen a mother cat carry her kittens in her mouth by the scruff of the kitten’s neck. When the mother cat picks up her kittens by the scruff, a kitten will instinctively relax, making it easier to be carried. Because kittens are much lighter than adult cats, you should never carry an adult cat only by the scruff of the neck. 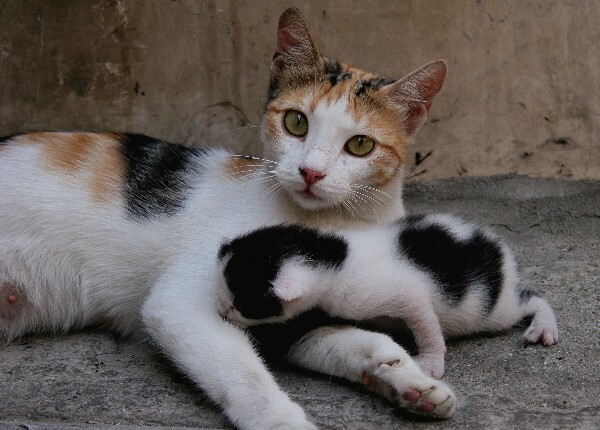 However, scruffing a cat while supporting the rest of the body can make the cat easier to handle, and will also keep the cat’s head immobile should you need to safely control a feral cat. Holding your cat by the scruff is also a way to hold him immobile so you can administer medications if necessary. Evaluate the cat: is the cat feral or friendly? If you are not sure how the cat will react, have a towel ready. Firmly grab the skin at the back of the cat’s neck, trying to get as close to the ears as possible to immobilize the head which prevents the cat from biting. Many cats will relax as soon as they are scruffed. If the cat struggles, covering the cat with a towel can help the cat relax. If you need to safely transport the cat, gently lift the cat by the scruff while supporting the rest of the body. Wrapping the towel around the cat’s body immobilizing the legs will help you transport a feral or aggressive cat. Before releasing the cat, make sure the cat has all feet firmly on the ground. You should only consider scruffing your cat if needed to control him or her in special circumstances. If you just need to move your cat, simply pick the cat up with one hand behind the front legs and the other hand supporting the rest of the body. Have you ever scruffed your cat?